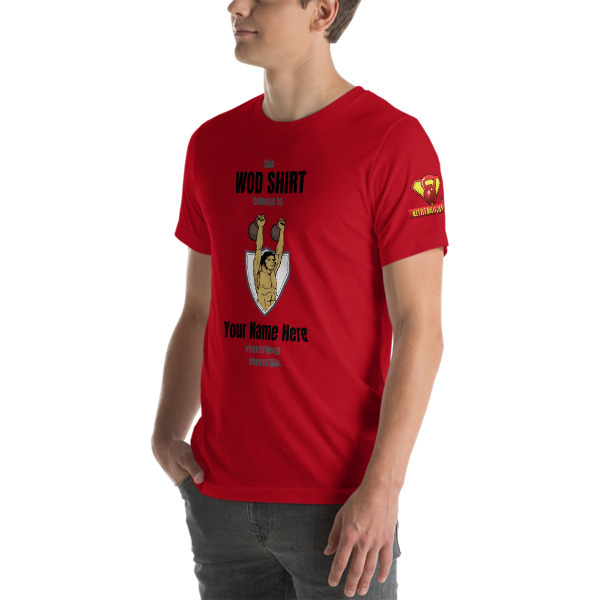 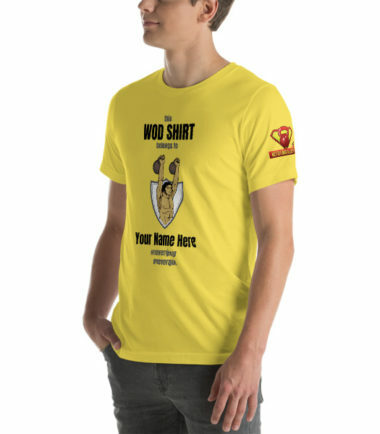 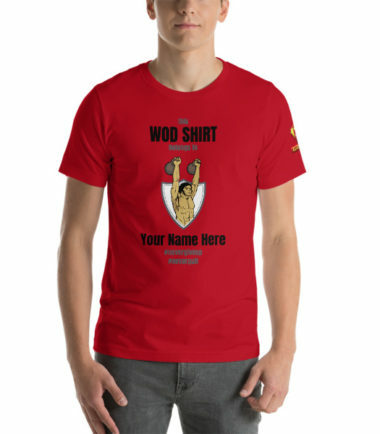 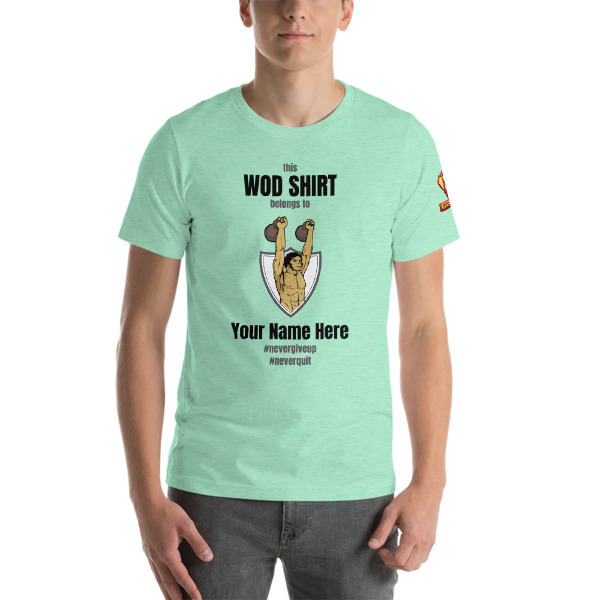 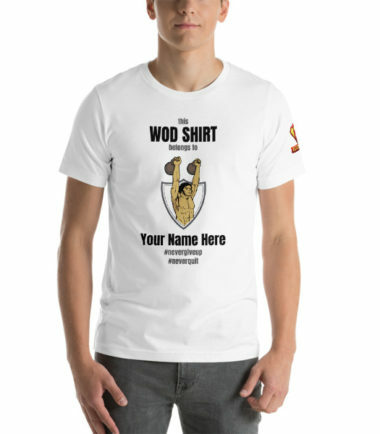 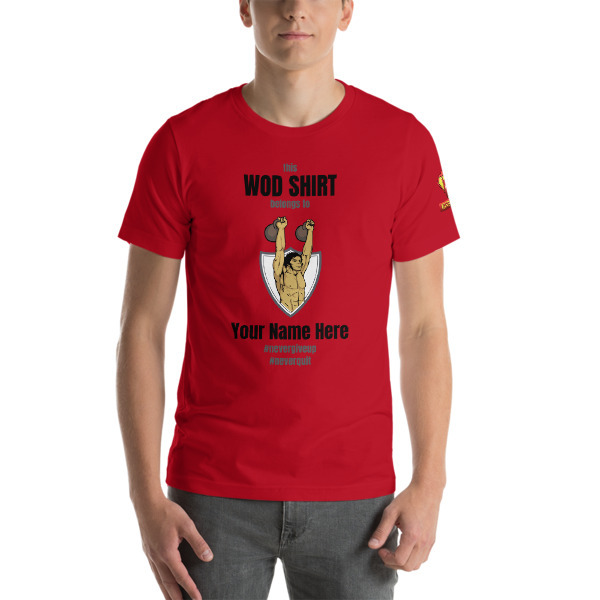 Get your own customized WOD shirt with your name on it. The shirt says “this WOD SHIRT belongs to [your name here] #nevergiveup #neverquit”. 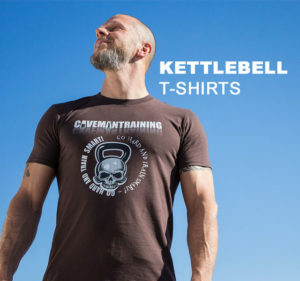 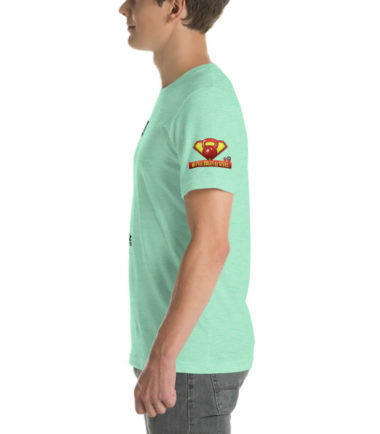 The left sleeve features our “Kettle Balls Of Steel” logo. 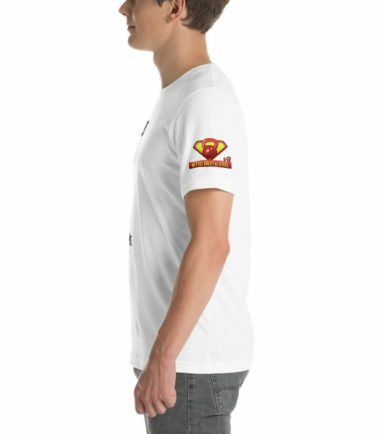 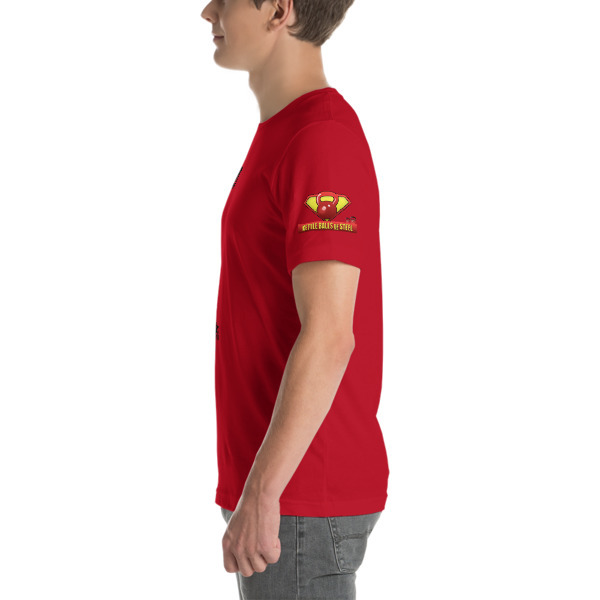 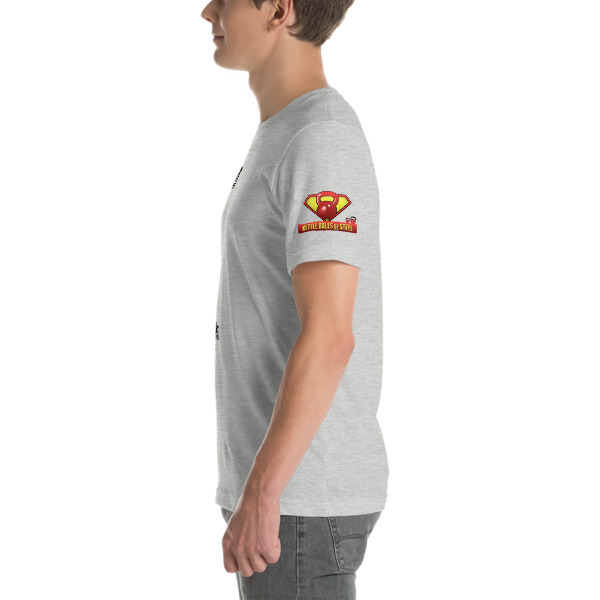 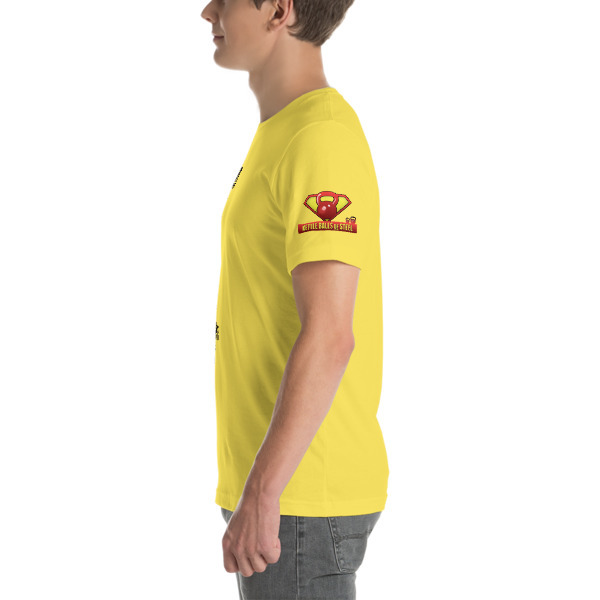 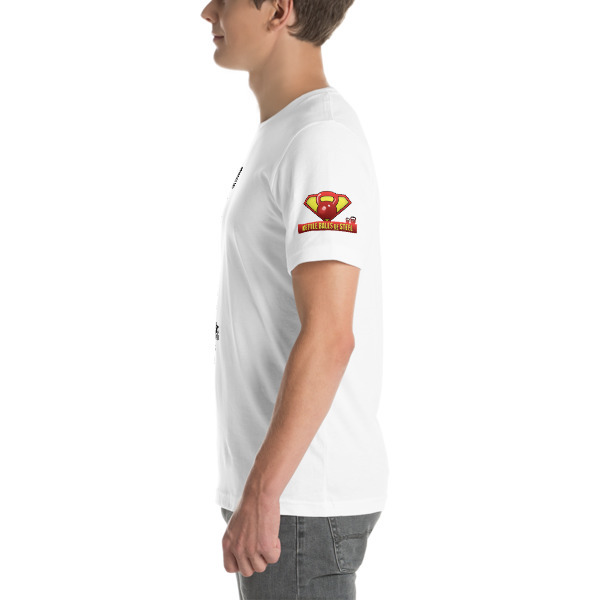 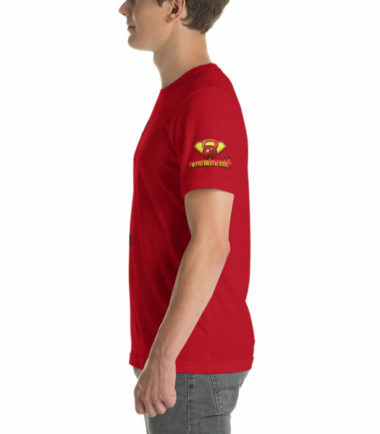 You can request the shirt to be printed without sleeve logo. Upon check-out make sure to include the name you want to be printed on the shirt.